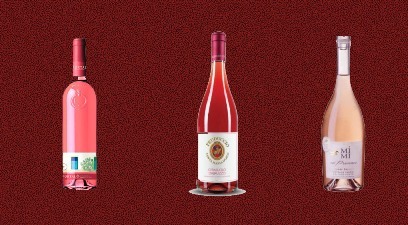 As spring arrives, it is time for the pinks to start taking front and center in people’s drinking profile. In this fun stand-up event, we’ll sample seven different roses made from various different grapes (Tempranillo, Grenahe, Zwegelt, Syrah, Touriga Nacional, Sangiovese) and from diverse countries (France, Italy, Austria, Spain, Portugal). We’ll talk how the wines are made, good food pairings and do a friendly competitive show of hands for who wins this War of the Rosés. To register for the event, click here…. Charton Hobbs Inc. and Veuve Clicquot is proud to announce the launch of Yelloweek, an annual festival-style ‘tribute to creativity’ showcasing gastronomy, arts, fashion and lifestyle. This year’s event takes place this year from May 1st to 7th inclusive, Edmontonians are invited to explore and enjoy a series of creatively-inspired events spanning several categories, including: Yellow TABLE, Yellow BY THE GLASS, Yellow NIGHT and Yellow CONTEST (of which deVines is a part of). Check out all the Yelloweek festivities in Edmonton. deVine will be the place for the Yellow CONTEST, an opportunity to take home a little piece of sunshine – a chance to win a beautiful Veuve Clicquot Bistro Patio Set for two!. Enter your name at the store now, no purchase necessary, contest ends May 31st. 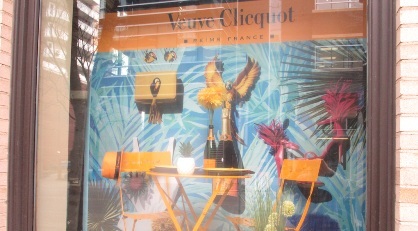 Be sure to drop by the store on Saturday, May 6th from 3-5 pm, as we will be serving up some Veuve Clicquot Brut to celebrate Yelloweek. At the same time, do also check out our brand new Yelloweek decorative window! Have a great Yelloweek everyone! Wanting to learn more about wine? Well, it’s time for another session of our ever popular Wine Basics, the introductory wine appreciation themed tasting on Saturday, April 22 @ 7pm – $30. We will taste three whites and three reds which are typical of their varietals (Sauvignon Blanc, Riesling, Cabernet Sauvignon, Pinot Noir and more). 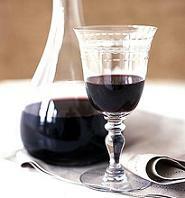 We will touch on wine serving tips, food pairing and wine etiquette all in an informal, relaxed setting. This sit-down event for 30 seats sells out every time, so for those beginners wanting to delve into the world of wine, this is a great starting point. More information about the wines we’ll be tasting, and to register for the event, click here…. Easter is this coming weekend, and you’ll want some celebratory wines to accompany turkey & ham dinner or that special meal you’ll be preparing for your loved ones. We receive many requests for food and wine pairings for this festive weekend so please contact us sooner than later for the best available selection and recommendations. If you have special needs, please let us know and we’ll be glad to help. Enjoy the long weekend everyone. Start your evening off with a sparkling wine, followed by whites, reds, a dessert wine and perhaps a little meditation course for digestifs or Port. 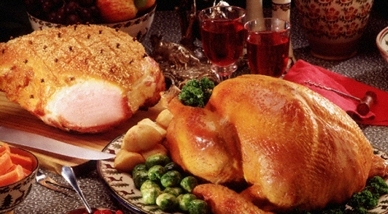 Whites with a touch of sweetness is preferred because of the sweetness of some of the fixings – candied yams, cranberry sauce, and honey for the glazed ham. A completely dry white will seem more austere and void of fruit due to the sweetness of the food so I recommend Rieslings (dry or off-dry, both work), Gewurztraminers or other Germanic or Alsace varietals. Having said that, some will always go with a dry creamy Chardonnay or Chenon irregardless and that’s perfectly fine. Also, don’t forget that rosés work really well too! For reds, try to avoid the big oaky tannic monsters. Oak and tannins are the enemies when pairing with slightly sweet food, try for a red with lots of up-front fruit, little oak and a soft tannins like a Beaujolais (served slightly chilled) or a Pinot Noir. Finally, if you are pressed for time, try out our April Mixed Case – $216.12 where a lot of the wines would pair well with Easter dinner. Sake, the famous Japanese rice wine is made by fermenting rice that has been polished to remove the bran. 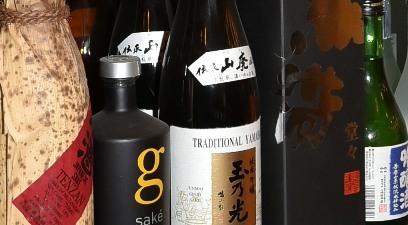 Unlike wine, in which alcohol (ethanol) is produced by fermenting sugar that is naturally present in fruit, sake is produced by a brewing process more like that of beer, where the starch is converted into sugars before being converted to alcohol. last time was a thrilling experience for the attendees – don’t miss it. More information and to register for the tasting, click here…. The influence of the church in wine has been well documented over the centuries, so for a special Easter weekend treat, we’re doing a Papal tasting to celebrate. Both white and red Chateaueuf du Papes will be tasted, as well as wines from Basilicata, the Purple Angel Carmenere from Chile, and other wines related to the church. 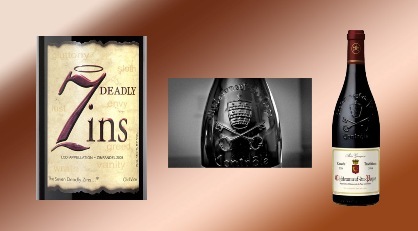 Wines related to the last two Popes will be presented, and while themes and connections may not obvious from the list of wines, they’re there and you’ll have to attend to find out what they are! Only 18 seats available for this sit-down event.